A quality improvement initiative has led to a significant drop in narcotic pain medications prescribed to patients who undergo colorectal surgery at UF Health Shands Hospital in Gainesville, Florida. 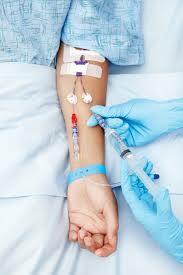 “Fewer patients are receiving oral narcotics during their hospital stay. More importantly, we are discharging even fewer patients with prescriptions for narcotic pain medication. Often, patients become addicted after taking legally prescribed narcotics,” said Atif Iqbal, MD, an assistant professor in the division of general surgery in the UF College of Medicine. Overall, the total dosages of all narcotic medications, inpatient and outpatient, dropped from 2,481 mg of morphine equivalent dose, or MED, to 307 mg after institution of the protocol. The initiative is part of an enhanced recovery after surgery, or ERAS, protocol introduced at UF Health in mid-2015 that aims to reduce complications and readmissions and improve quality of care delivered to colorectal surgery patients. Iqbal and his colleagues also wanted to evaluate the use of narcotic pain medication amongst these patients. They compared narcotic prescriptions and usage between January 2013-June 2015 before ERAS protocol began to July 2015-August 2017, after the introduction of ERAS protocol. 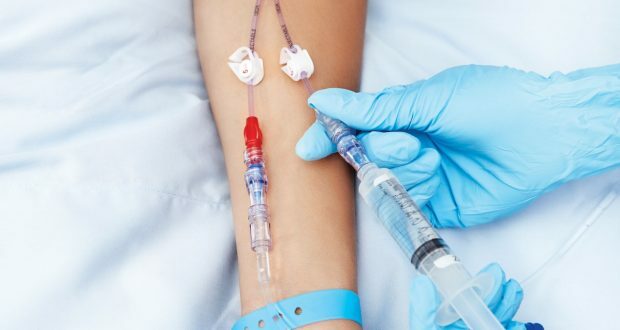 Under the ERAS protocol, before surgery, patients receive an epidural catheter along with oral gabapentin, a nerve pain medication, and oral ibuprofen. During the procedure, they receive acetaminophen via IV, and post-operatively oral acetaminophen, ibuprofen and titrated doses of oral gabapentin. The ERAS protocol allows patients who already are on a regular narcotic pain medication regimen at home before surgery to continue their narcotic medication after surgery, Iqbal said. A majority of the patients currently receiving narcotic medication, after institution of the ERAS protocol, fall under this group. Overall, the results showed an 87 percent decrease in the amount of total narcotic medications used after the ERAS protocol was initiated. On the inpatient side, use of post-surgery pain pumps — which dispense narcotic medication — decreased from 63 percent to 7 percent. Additionally, the total number of doses dropped significantly, down to 23 mg from 1,254 mg.
As-needed oral narcotics were prescribed for about two-thirds of patients, compared to 90 percent. The average medication dose also decreased by nearly half, Iqbal said. The amount of patients prescribed narcotics after discharge also decreased from 85 percent to 55 percent. Changes to the electronic health record system also have helped prevent clinicians from automatically prescribing a narcotic. From 2000 to 2015, nearly 500,000 Americans died of a fatal drug overdose, according to the U.S. Centers for Disease Control and Prevention. About 60 percent of those overdoses involve opioid, or narcotic, drugs and approximately half of those deaths were linked to a prescription opioid, according to the CDC. The federal agency called prescription opioids a “driving factor” in the number of opioid-related overdoses. Nationwide, in 2013 alone, health care providers wrote nearly a quarter-billion prescriptions for opioid medication, the CDC notes.